Charles G. Curtin is a senior fellow at the Center for Natural Resources and Environmental Policy at the University of Montana and a consulting landscape ecologist with the Center for Large Landscape Conservation in Bozeman, Montana. His work focuses on community-based conservation, large-scale experimental science, and policy design in marine and terrestrial ecosystems. "Curtin’s book is winningly written, acutely observed and draws on his work in community-based conservation... [it] offers some hope of achieving sustainable land management in large ecosystems." "Scientists, theorists, conservationists, policy-makers teachers, and students alike will find The Science of Open Spaces useful and challenging. … like most of us, he has sought to make the most of his personal experience as a scientist concerned with the conservation of open spaces, and striving to see clearly through complexity. His effort, and the results he presents, will strongly resonate with readers." "The book defies the typical top-down thinking of conservation theorists and government agencies and effectively demonstrates that one-size-fits-all strategies do not work in complex open systems." 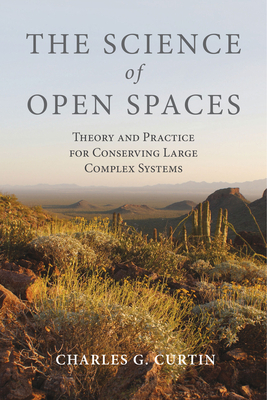 "The Science of Open Spaces provides readers with a roadmap to 21st century land management, where the stakes are high, collaboration is crucial, and profound uncertainty in the face of the complexity often hampers decision-making. The scope of issue could easily intimidate, leading to quick, reactive choices or even paralysis. Curtin instead offers a structured, accessible approach for tackling the understanding and management of open spaces...Curtin does an exceptional job of balancing interesting yet readable case studies with underlying ecological and sociological theory...Readers will find this book an engaging and substantive guide to the pitfalls and paths to success of collaborative conservation." "Every reader will appreciate the well-presented case studies and for those who have worked in the trenches struggling with landscape scale conservation efforts, I guarantee there will be many aha moments." "A valuable resource..as well as an enlightening read for scientists, professionals, and academicians, regardless of academic specialty." "The Science of Open Spaces presents an astonishing grasp of social, ecological, historic, and conservation knowledge, linking that interdisciplinary knowledge with the author's experiences with fishing and ranching communities in large-scale conservation contexts. He shows us how to make conservation work for people and nature amid complexity and change." "The Science of Open Spaces weaves together theory and practice to advance our understanding of managing complex resource systems. Charles Curtin applies concepts from thermodynamics, complexity theory, and macroecology to the management of wet and dry landscapes, and describes the hard-won lessons from decades of experience. This volume is a must-read for serious students, scholars, and practitioners of natural resource management."